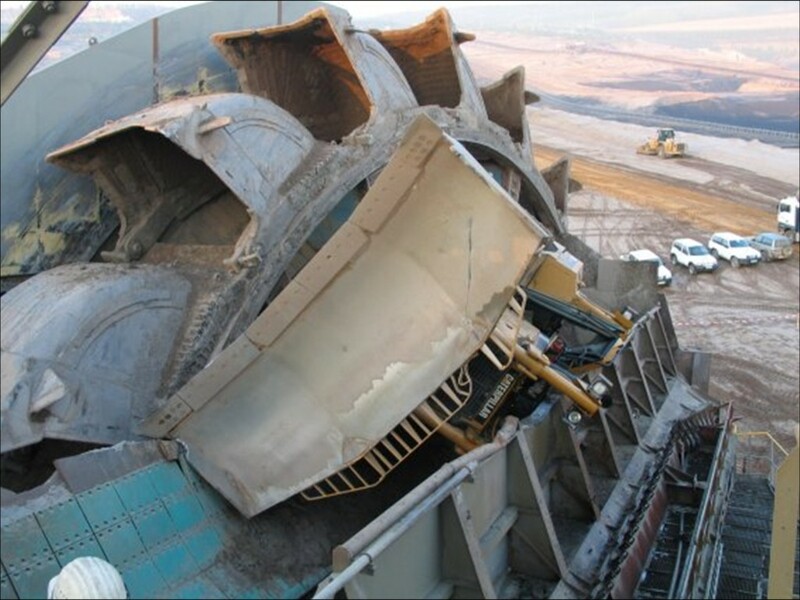 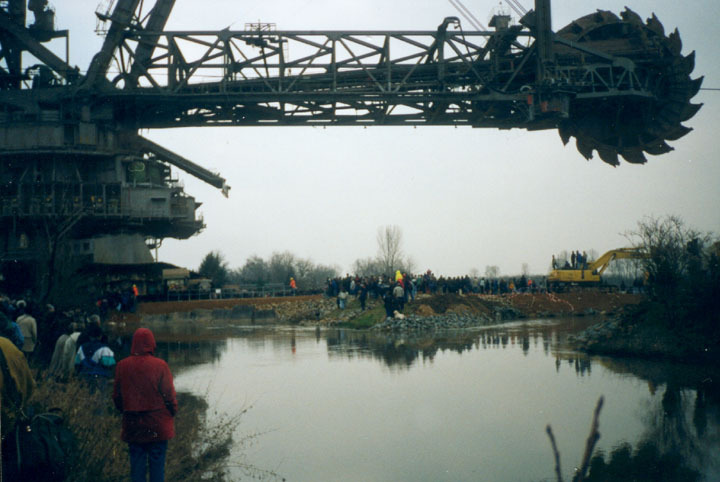 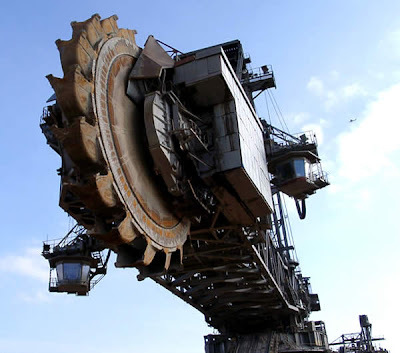 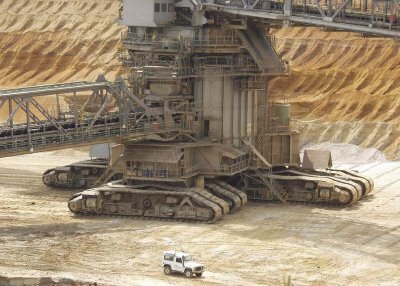 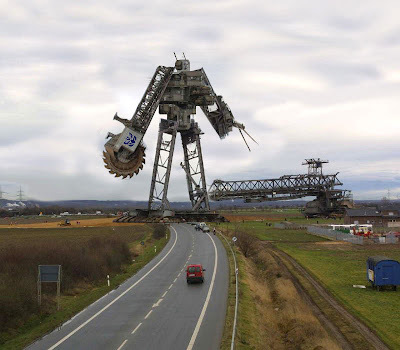 Bagger 288 (Excavator 288), built by the German company Krupp for the energy and mining firm Rheinbraun, is a bucket-wheel excavator or mobile strip mining machine. 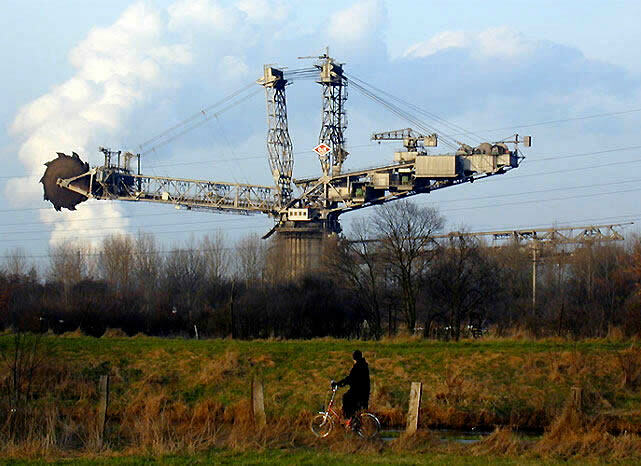 It is 311 feet tall and 705 feet long. It weighs 45,500 tons, which makes it heavier than RMS Titanic. 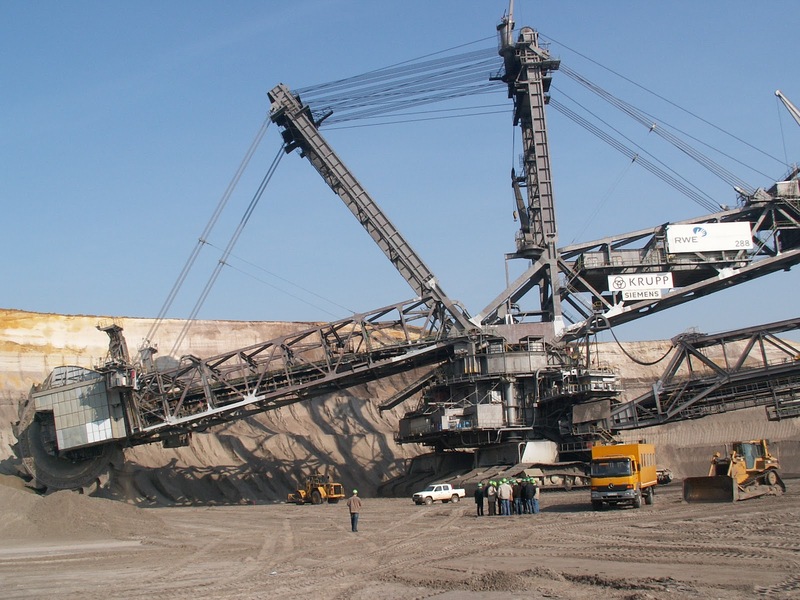 The Bagger 288 was built for the job of removing overburden before coal mining in Tagebau Hambach (Hambach stripmine), Germany. It can excavate 240,000 tons of coal or 240,000 cubic metres of overburden daily – the equivalent of a football field (soccer) dug to 30 m (98 ft) deep. 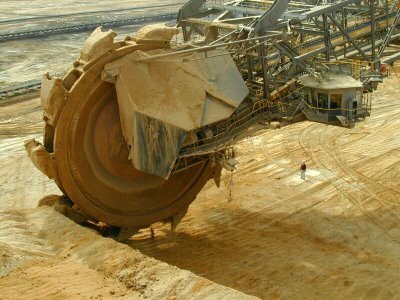 The coal produced in one day fills 2400 coal wagons. 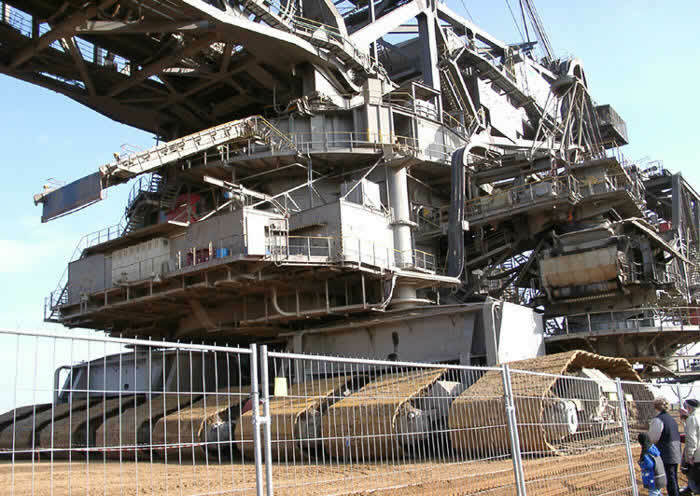 The excavator is up to 220 m (721 ft) long and approximately 96 m (315 ft) high. 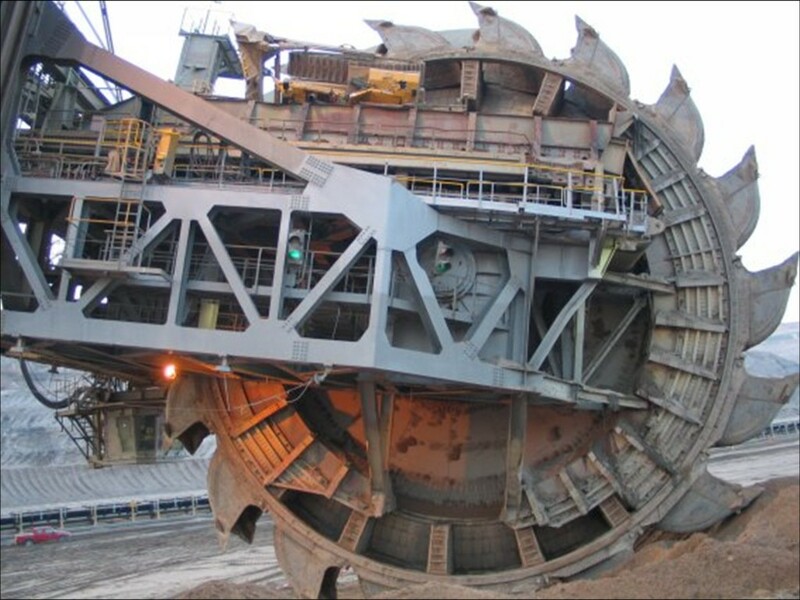 The Bagger's operation requires 16.56 megawatts of externally supplied electricity. 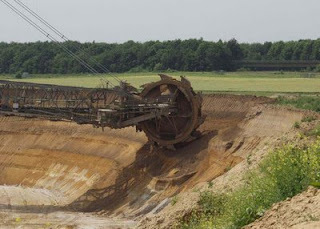 It can travel 2 to 10 m (6.6 to 33 ft) per minute (0.1 to 0.6 km/h). 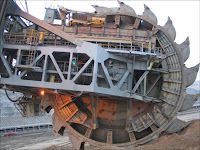 It took 5 years to design and manufacture at a cost of $100 million. 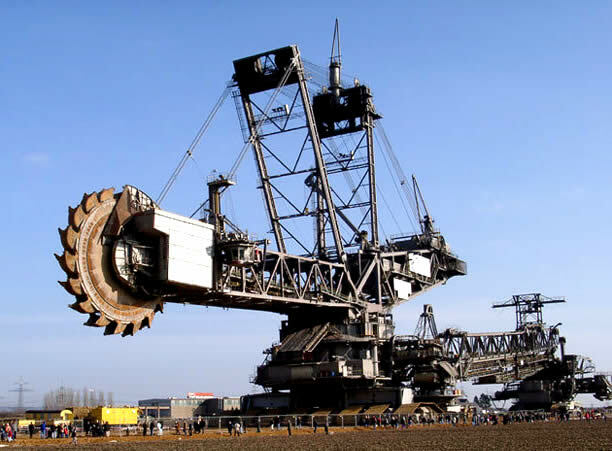 Maximum digging speed is 10 meters per minute. 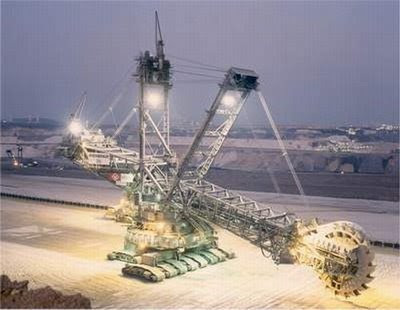 It can move more than 76,000 cubic meters of coal, rock, and earth per day. It is really huge man. This looks like a deadly vehicle at the same time. 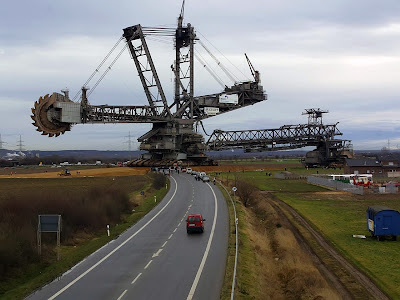 I won't even get near to this vehicle. 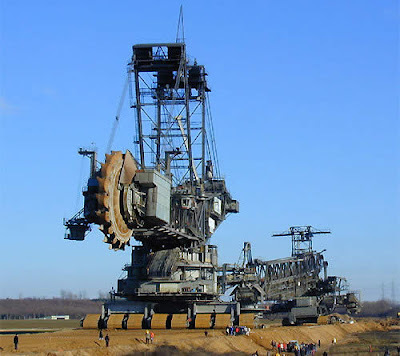 May I ask if this machine has been submitted to the Guiness Record?